We literally named this “The Most Coveted Bag for Years” because that’s what it really is. We’re aware that there are some very expensive bags and designs out there which women covet and make their life ambition to acquire. This isn’t one of those bags. It doesn’t tell the whole world that you’re of the wealthiest people on the planet. It’s not the height of status symbols yet it still is the most coveted bag on the market. The reason is because whether you’re a fan of simple, chic elegance or an avid follower of fashion, this bag will make itself at home in your closet. It goes with everything and looks good no matter where you wear it. Thus the great demand for this shoulder bag. Who wouldn’t want it? 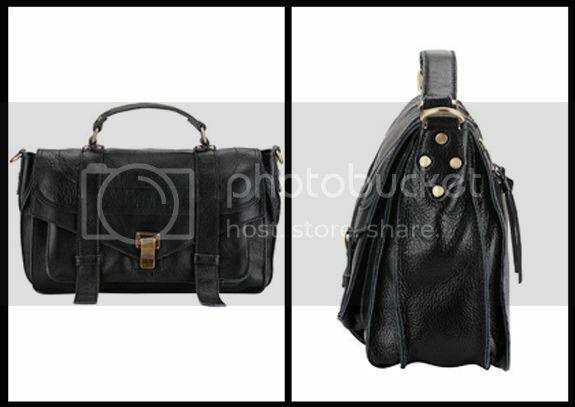 Made of high quality leather like all of our bags, it comes with brass toned hardware which gives it a luxury look. Too-shiny hardware is an indictator of a mass-produced bag, which this is not. This shoulder bag is made with diligent care. The handle grips, adjustable straps, zippered pockets and interior lining are resistant to whatever amount of heavy use you throw at it. Add this bag to your wardrobe this season because without it, you’re truly missing out no matter what your usual style is. Every stylish woman wants a great piece of arm candy but not all those women want to be wearing a bag that completely takes center stage and detracts from their outfit, their face, personality or career. This bag has been spotted on everyone who wants to look good without being in-your-face about it. If you want a classic, chic look without the hooplah that surrounds fancy bags that were created solely for the purpose of showing off wealth, this one’s it for you. The Melrose Glam So Soho bag has the names of two famous landmarks – Melrose and Soho, the hottest to-be places for 20 and 30-somethings in Hollywood and Manhattan. If you see yourself going up, up and up in life, this bag needs to be on your shoulders. The matte, marbled cowhide is not only beautiful but durable. The double buckles and gold hardware lend it an air of sophistication while making it the kind of bag that is convenient to carry for a day of work, study or socializing. Order yours now!